Novel Interiors: Living in Enchanted Rooms Inspired by Literature by Literature by Lisa Borgnes Giramonti, Ivan Terestchenko (Photographer) is more than just a book on interior decorating. This attractive hard cover book is a design element suitable for inclusion in any fashionable room- in of itself. The cloth spine and its oversized full color pages are a perfect touch for any coffee table or bookshelf. At first glance one may think this is just another book on interior design or home decorating in an already saturated genre. Once you open the book and take the time to read it, it becomes obvious this is a one of a kind decorating book. This book offers a lot more than just decorating ideas. This book pulls in elements of literature into the book itself- there are quotes and excerpts from well known works. The photographs of the selected interiors are integrated into a commentary about the works from which they are inspired. Any reader that loves classics will enjoy seeing how a love of literature would inspire an everyday home decorating from the bedroom, to the kitchen and the dining room. Furthermore, one needs not to be wealthy to integrate the unique, original and classic details featured in this book. This is a decorating book that makes home decorating possible for the masses. Many of the design elements can be customized or even made from household materials and older worn furniture. The ecclectic mix of designs will appeal to readers of any financial means and of any background- from those on a strict budget to those who have larger purses at their disposal. Whatever you want to integrate into home design- your hobbies, your collections, antiques as well as modern art and even your refurbished trash- you can find an idea to make it work. Home decorating incorporates everything and anything in this innovative book. The photographs are peaceful. This book is perfect for browsing. This book would make the perfect gift for any reader that loves the classics of literature. This would make a great housewarming gift for anyone with a new house or apartment as well. As a blogger I received a copy of this book from Crown Publishing group for the purpose of writing this review. If you need to be inspired in a time of trial, then Kyle Winkler's new book is perfect for you. Silence Satan by Kyle Winkler is worth reading multiple times in order to empower the reader when confronting personal crisis and trials. Not many believers understand the concept of a literal Satan and the Holy Spirit and that we are all called to fight against the devil, our Enemy. The author presents scriptural background and bible passages from the old and new testaments to share with the reader that each of us is called to resist and fight against the devil with the power of the Holy Spirit. The authors explains this is one of the privileges all believers have at their disposal. Winkler shares with the reader personal and intimate stories of his own experiences. His honesty gives the reader support and adds credibility to his words. It is as if the reader is speaking one on one with the author. Winkler is uniquely gifted in reaching out to distressed and alienated readers. The reader can relate to the author's painful experiences with guilt and shame. Kyle Winkler does not hold back- he is forthcoming and brutally honest. Who would not trust him? How many readers will relate to the devil's torments and lies to "shut it down" and give up. The main focus on the book is to show the reader more information- about Satan in general as well as to expose the works and deceptions of the devil as well. The author talks about the devil's tactics and playbook in attacking believers and throwing them off course in life. I can not convey into words, the significance this book had for me during a difficult time in my life. This book is like a lifeline- easy to understand words of wisdom and insight. You will put this book down feeeling refreshed. Much of the book is an invaluable resource where the authors have taken scriptural truths and promises- and relate them to the modern day believer to use and apply when facing any trial or work from the enemy. The scriptural references will empower any reader with a quick resource of how to respond in faith to any difficulty- large and small. It is a spiritual self help book in the fact that it will allow the reader the tools to look within himself and identify any areas or issues where Satan has his foothold. Not only that it tells the reader how to face and address these issues! For those who are at a loss of how to begin to approach their spiritual problems there are a number of sample prayers applicable to any number of situations. As a blogger for the Booketeria I received this book published by Passio for the purpose of writing this review. The pink fur bible, is the newest edition of the Plush Bible Collection, NIrV. The plushy pink fur of the cover is similar to a furry blanket or retro pink rug. The soft feel of the cover will appeal to any young girl. Nevertheless, other than the plushy pink cover, the bible is minimal. The standard text does not include chapter summaries, nor any additional bible helps- this bible is as bland a bible as you can get. The plain interior is in stark contrast to the bright furry cover. Beyond the cover I do not see any appeal that would draw any young readers t actually read the bible. If you are looking for a cute gift bible- this is an okay choice. But its only the surface- the unique cover that is really made for young girls. The slim, compact bible makes it easy to travel with and take to a bible study or college dorm. The cushion like feel make this the perfect bible to hold in your hands. The bible comes in a hard gift books which make it perfect for use as a gift. As a blogger for BookLook I received a copy of this book for the purpose of writing this review. As a blogger for Moms of Master Books, I have had the opportunity to review a number great educational as well as home school titles. The following books are my top choices for 2014. #3 Bugs by Will Zinke is a new full color book filled with sharp, full color glossy photos with vivid images of bugs that appear to jump out at the reader, this is one of the best books on bugs that I have read. Written in a graphically appealing style- sharp state of the art, up close photography, bold fonts, and colorful graphics, this informative book is perfect for kids of all ages, even up to high school. This book is not only an authority on all types of bugs, but it is entertaining to read as well. This book is divided into chapters or sections based on insect categories. For example there is a section on "Bugs In Camo", "Bizarre and Beautiful" and "Jumbo Giants". These amazing creatures are very diverse. 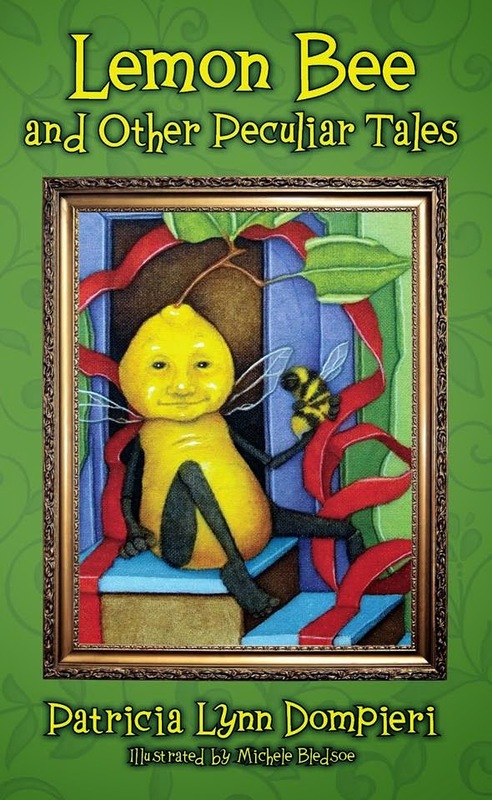 The beauty and diversity portrayed in this typical book differs in the usual bug themes of books normally in this genre which often concentrate on the gross and disgusting aspects of bugs. Many scholastic reader books, and popular bug books on the secular market draw in the reader by calling attention to the more loathsome elements of the insect world such as creepy white maggots, or dirty cockroaches. In striking contrast, the author focuses on the beauty and uniqueness of these amazing diverse creatures. For example, theer is a beautiful, shiny golden beetle, known as the Gold Jewel beetle. It looks like solid gold. Who knew such a beautiful beetle existed. there is also a mirrored rainbow bug called the Chrysina beetle. Some of these bugs look like rare gems. Who would ever consider to use the word beautiful and beetle in the same sentence- yet the author shows bugs that are beautiful beyond one's imagintation. The bugs that are adorned in camo are not simply grey are brown. They mimic the beautiful ornate colors of autumn leaves, and beautiful shades of flowers. The author, Will Zinke, dispels the old stereotypes of the insect world, and packages them in a whole new way. This unexpected way of looking at ordinary common bugs has changed my outlook on bugs and is sure to leave impressionable young minds with a lasting taste of God's magnificent wonder. 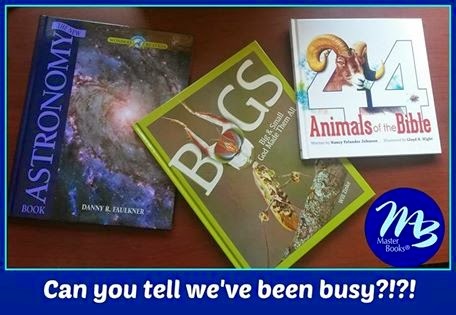 And finally, #4 Astronomy and #5, 24 Animals of the bible make great additions to any educational library: Great for young readers as well as any reader for that matter- interested in reconciling science with biblical faith. If You Were Me and Lived In... Peru and If You Were Me and Lived In... Greece By Carole P. Roman. If You Were Me and Lived In... Greece... and If You Were Me and Lived In... Peru are two new editions to the "A Child's Introduction to Cultures Around The World" series By Carole P. Roman. The art contained in these two new additions are the most impressive yet. The mixed media cartoon art combined with beautiful scenic photos bring new life to the subject of geography. These books take only minutes to read cover to cover but they will give a child a good picture of a particular country. These books follows a similar format as the first books in the series about Mexico, South Korea, and France. Yet in this newer editions, the author makes an even greater use of a variety of textures and mixed media in producing the illustrations. When reading about Greece, the photograph of the ancient ruins serves as the backdrop for the two sight seeing children. The pale blue sky makes for a beautifully realistic and unexpected presentation. The beautiful sunsets, stone tiles and other authentic textures adds an authentic appeal and beauty to the simplistic cartoon scenes. The colorful panoramic spread of the Machu Picchu surrounded by soft airy clouds, in the book on Peru is beautifully made. The cartoon tour guides will certainly capture the attention of all young readers as well as parents and educators. I believe the "Carlesque" styled mixed media illustrations with the simple line cartoons in her books are an unexpected treat. Mixed media illustrations are very popular and appealing for young readers as evidenced by the popularity of Eric Carle's kids' books. By combining geography with mixed media- I believe that Roman will generate even greater interest and attention for her educational series. 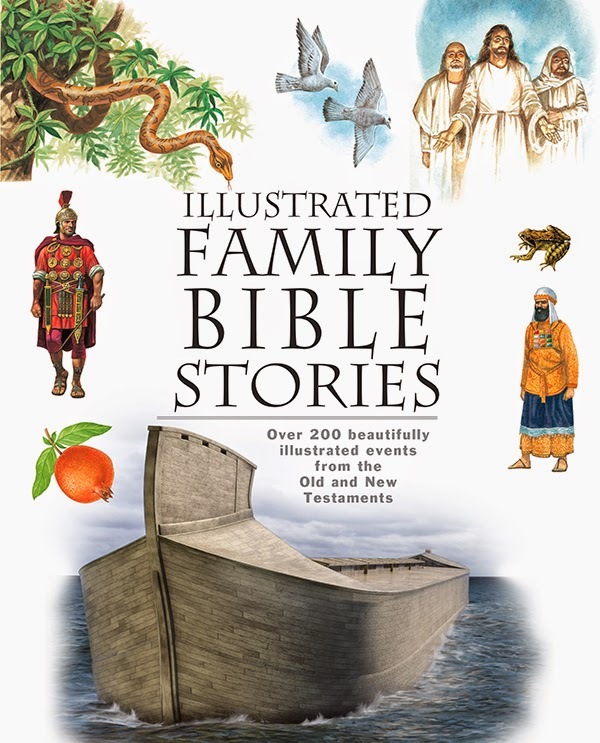 These stories would also be a good choice for a family that is interested in their ancestry, a family vacation or even appropriate for children as part of a social studies lesson. The consistency of these geography books makes this series perfect for the school setting. An educator can count on the fact that young children will be introduced to the basics. The predictability of the book's format will also appeal to younger readers who are familiar with the series. In each addition to the series, the child will learn about the geography and will be introduced to its climate, tourist attractions local foods, sports and other social norms. Full color, simply drawn cartoon drawings with the unique texture accents compliment the text. The pronunciations at the end of the book introduces the child to the native language but it would be better to have the equivalent English words listed as well and definitions to reinforce the material learned in the story. At some point in the future, I would like to see Roman combine all the editions of this series into one larger encyclopedia type of volume in order to create one single comprehensive text. This would also make the book more accessible and convenient to educators and schools in the public and private sectors as well as home schoolers. As a blogger I received these books for the purpose of writing this review. Captain No Beard and the Aurora Borealis- A Captain No Beard by Carole P Roman is the newest edition to an emerging new, vibrantly illustrated children's book based on the popular pirate theme. Watercolor styled art perfectly accompanies the nautical pirate action. The detailed cartoon art is fast paced like the untamed adventurous seas where the stories take place. This newest story includes Captain No Beard and the other familiar heroes introduced in the series, including Mongo the monkey, and Cayla as well as Hallie. This is volume seven in the series. The climactic scene depicted with the glimpse of the ship against a rainbow bright evening sky is magical, and surreal. As with the other books, centers around essential messages about kindness and compassion. Ironically, these pirates with their pirate ship have more morals and ethics than the traditional pirate in children's literature. In fact, Hallie states in the story, "I love treasure and all, but only if it doesn't belong to someone else." Roman has mastered the plot twist adding an element of surprise that even parents will appreciate as they read this story to their children. This inviting new book series introduces children to the friendly pirate named Captain No Beard, and his frigate as well as the host of friendly talking animals. This is the perfect introduction to pirate literature - like pirate literature 101 complete with the typical pirate talk and pirate cliches. There is a pirate reference on every page of these books such as the Jolly Roger, crossbones flag, pirate slang and nautical terminology . The consistency of this series will appeal to young children. The surprise ending will capture the readers attention and encourage their imaginations. 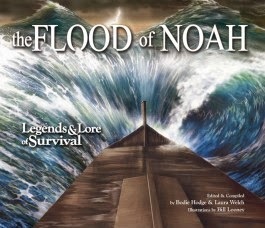 This book encourages role playing- where one's bedroom can become a new world, and blankets can become an ocean. Parents and children alike will be entertained by the pirate slang, vibrant pirate themed illustrations as well as the inviting bold text. The books of this series belong on the bookshelf of every pirate enthusiast. As a blogger I received this book from the author for the purpose of writing this review. I'd like to see all these stories into one larger, hardcover pirate treasury. Monstrously Funny Cartoons Christopher Hart is more than an instructional book to learn to draw monster cartoon characters step-by- step. This book is also a commentary on the story behind each cartoon and monster. Unlike many other cartoon tutorial books that simply stop at the step by step process of drawing a figure- Hart actually provides some historical and cultural background on the subject as well. For example, not only is there an alien depicted as a cartoon= there is also a retro alien. There is a brief background provided on the origin and meaning behind the retro alien. For example- the retro alien has an ominous trench coat like cape with a high collar. Also the retro themed alien has one large omnipotent eye that can view everything. This contrasts with the traditional or modern alien. I found Hart's explanations and commentary just as much fun as the cartoons. The sketchy cartoons of monsters and creatures might not be fine art- but anyone into pop culture and media as well as young artists, may appreciate this unique cartoon book. The commentary contained is just as animated and lively as the cartoons. As a blogger I received a copy of this book published by Ten Speed Press for the purpose of writing this review.